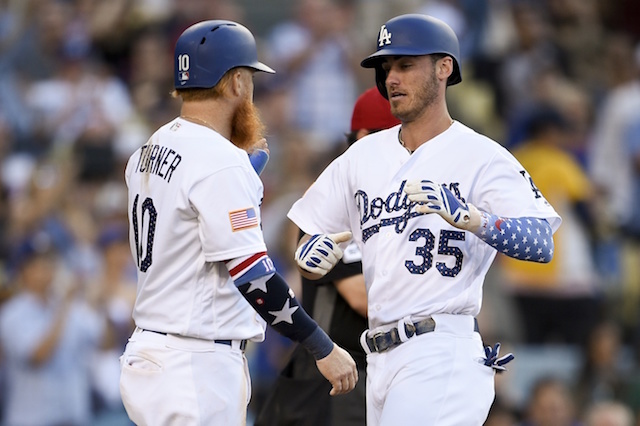 Whereas the Los Angeles Dodgers held an on-field ceremony last season to present players with their National League Championship Series rings, the club took a more muted approach this year. 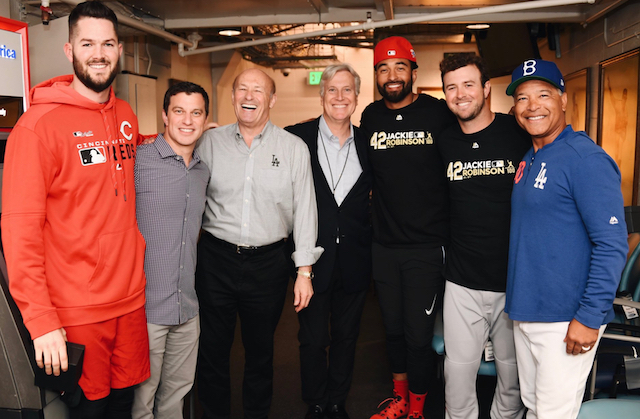 With Dodgers owner Mark Walter, president and CEO Stan Kasten, president of baseball operations Andrew Friedman and manager Dave Roberts on hand, they recently presented players with their 2018 NLCS rings in the clubhouse. On Monday, Roberts and the Dodgers front office personnel followed suit in a private moment with Kyle Farmer, Matt Kemp and Alex Wood. They, along with Yasiel Puig, were traded to the Cincinnati Reds over the offseason. Puig was noticeably absent and also more than an hour late to his press conference that was scheduled to begin at 3 p.m. While the focus of the questions for Puig centered around his return to Dodger Stadium, he was asked about not being on hand to receive his NLCS ring. Puig has largely been unmoved when it comes to speaking about the Dodgers organization in the wake of getting traded. Instead, his praise has been reserved for fans and certain former teammates. While Puig arriving late for the press conference was in line with some his behavior during a six-year tenure, he again showed an uncanny knack for the dramatic by hitting a home run off Clayton Kershaw in his first at-bat.